Come take a look at this huge 5 bedroom, 4 bathroom home in the town of Dunseith! Including the lower level this home has almost 2500 square feet of total living area! 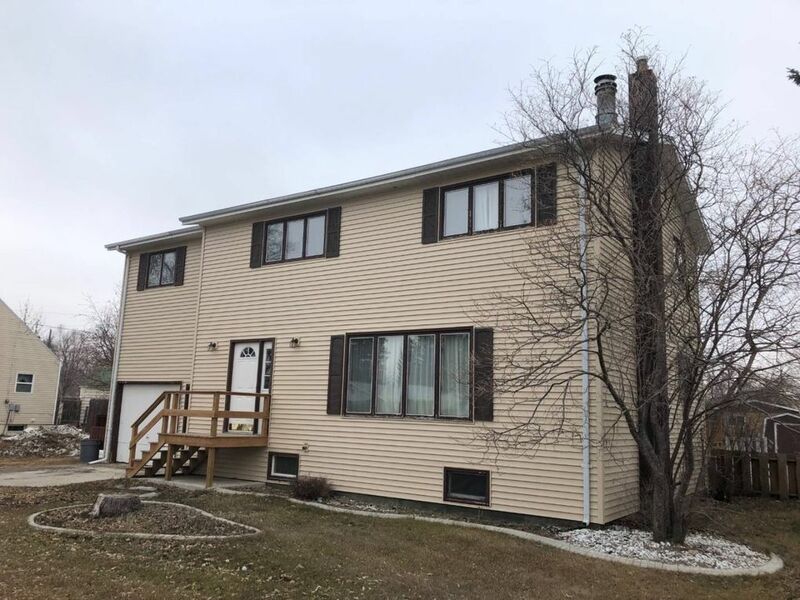 The main level has a large living room with a brick fireplace, a nice dining room with patio door access to the oversized 12' x 24' back deck & fenced backyard, the kitchen with all kinds of cupboard space, & the laundry area/half bathroom. The upper level features 4 bedrooms that all have quite a bit of room as well as a full bathroom. The master bedroom comes complete with a 3/4 master bathroom & a small powder room. On the lower level you will find a big family room & a non-egress bedroom with a 1/2 bath attached. The possibility does exist to convert the lower level into an apartment area if desired. This property also features a 1 stall attached garage, a huge backyard, siding that was updated in 2017, a new roof coming soon, & it is located close to both the schools.